Jessie Street National Women’s Library is a unique specialist library dedicated to the preservation of Australian women’s work, words and history. 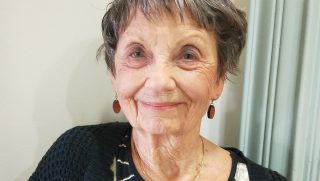 The Library was established in 1989 and is named after Jessie Street, a lifelong campaigner for women’s rights, the peace movement and the elimination of discrimination against Aboriginal people. The Library’s charter is to collect, preserve and promote knowledge and understanding of the cultural heritage of all women; social justice for Aboriginal and Torres Strait Islander peoples; international friendship and peace. Patrons are The Hon Elizabeth Evatt AC, The Right Hon Clover Moore, Lord Mayor of Sydney, The Hon Quentin Bryce AD CVO and Professor Emerita Elizabeth Webby AM. Our mission is to provide for the Australian community a specialist library which collects, preserves and promotes the awareness of the cultural heritage of Australian women, facilitating learning, research and communication. To collect the published and unpublished materials which document the lives and experience of women of all ethnic, racial and religious backgrounds and of all socio-economic classes. To ensure that documents relating to Australian women’s lives and activities are preserved and made accessible. To highlight the contribution of Australian women to this country’s development. To support the field of women’s history. Our next lunch hour talk is on Thursday 20 June. Cleo Lynch is the guest speaker and will discuss her memoir ‘Careering into Corrections — from housewife to prison officer’. Our next lunch hour talk is on Thursday 21 March. 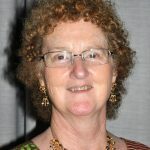 Anne Benjamin is our guest speaker and will discuss her novel ‘Saffron and Silk – An Australian in India’.